Many debates and exchanges have shaped Latin American poetry over the years. A number of its most powerful movements are expressions of cultural and political conflicts surrounding the evolution of Latin American and national identities. Although there are examples of poetry from this region dating back to the pre-Columbian era, it was not until the 19th and 20th centuries that Latin American poetry took its place on the world stage. Ruben Dario (Nicaragua) – Considered the father of the Latin American modernism movement, Dario fused traditional poetic style with new innovations in imagery and rhythm. 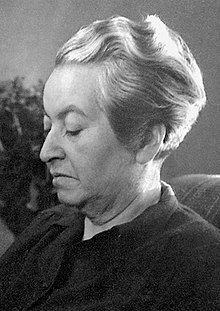 Gabriela Mistral (Chile) – Gabriela Mistral was the first Latin American author to receive the Nobel Prize in literature; as such, she will always be seen as a representative figure in the cultural history of the continent. Pablo Neruda (Chile) – One of Latin America’s most prolific and well-known poets, Neruda led a life charged with poetic and political activity. He received many prestigious awards throughout his lifetime, including the International Peace Prize and the Nobel Prize for Literature. Octavio Paz (Mexico) – Often nominated for the Nobel Prize in his lifetime, Mexican author Octavio Paz enjoyed a worldwide reputation as a master poet and essayist. For more Latin American poetry resources from Doherty, see our poetry month board on Pinterest.